Put four freelancers or small business owners in a room, and three of the four will moan about micro-enterprises not being supported in South Africa, times being tough, work being hard to find. The fourth will keep quiet, because he/she has enough work and doesn’t want to rock the boat — or jinx the luck. But it’s not about luck. It’s about being clever. About pushing hard. 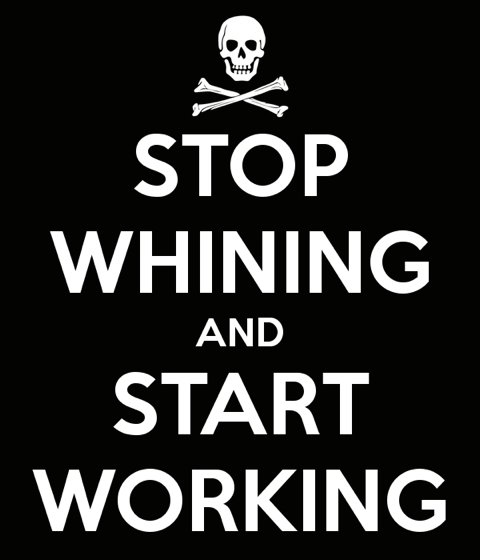 And not whining. Ten days ago I approached a neighbourhood home industry to quote on some custom biscuits. I stipulated required size, colour, shape, and decoration — and left my card. Silence for a week. I called back and left a message. A day later I heard from the owner. It seems her freelance bakers aren’t keen to take on (or quote on) my job because it’s “too fiddly” and “the special shape cutters cost R200 for a pack”. 1. Hi client. I can do it, but because it’s detailed, it’ll cost more. Here’s a quote. 2. The painting seems tricky. How about this design or this idea instead? 3. I have an idea. Let’s do this shape rather. It’s in theme, but easier to do. 4. Can you perhaps pay for the custom cutters, which you can then keep after? 5. I’m going to invest in the custom cutters, and add a % to your quote, okay? This got me to thinking about my own industry … a lot of the freelance / SME whingers out there are whinging because, yes, they don’t have enough work. But — why not? Are they doing everything they can to meet customers’ needs? Are they being creative in proposing solutions to problems? Are they self-promoting at every opportunity? Or are they waiting for the world to send them a decent living? 1. I need help finding work opportunities. 2. I need someone to promote my services. 3. I want a solution that offers me better exposure. 4. There isn’t enough work out there. 5. I’m a writer, not a marketer or a business-person. Yikes. It’s no wonder so many one-person-shows aren’t making bank. Stop moaning. Start brain-storming. And get your service act together. You need a website or blog, nice business cards, consideration of alternative niches, creative approaches to client challenges and — above all — accepting the fact that if you don’t become a business-person, you’re buggered.